So we first started this project after visiting an Expo in Northern Sweden, "Nordsken" 25th of May, 2017. After meeting Thomas Ira Nixon and his R2D2 unit we found ourselves inspired to start building our own. After a quick study of this subject, how we were going to build R2D2. We found Astromech.net forum, which is recommended for being the nr1 world-wide, R2D2 builders club! 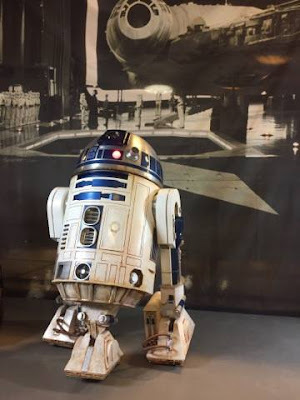 And because there is a lot to learn about Astromechs and droids, if you become a member you have acccess to their forums and can ask many questions, which you will need to build your astromech to the right specifications! Basically, there is no R2D2 unit that is completly alike, because there is a lot of choices on how you build your R2 unit. Which materials to use, or how the interior design is going to be, how you will solve both the mechanical and the electrical issues that needs to be resolved! "We" are Helene and Olof Geelnard, we live in Northern Sweden, a town called Luleå. (north east of Hoth). This is a fun family project!